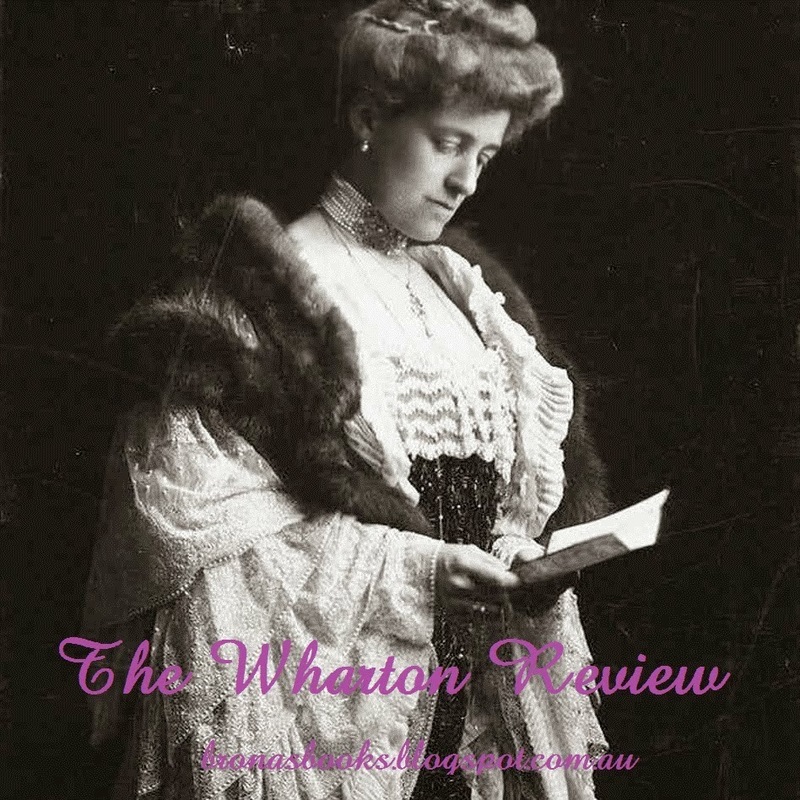 I was so pleased to finish my Wharton book for Brona's The Wharton Review well ahead of time! Fortunately the 150-ish pages of Ethan Frome made it a relatively easy task, as I was really looking forward to reading another Wharton. I class her The House of Mirth as one of my top favourites. This story is told from an omniscient point of view by a narrator whose name we never learn. His job as an engineer brings him to the town of Starkfield, Massachusetts, and there he meets the taciturn Ethan Frome. Through his interaction with Frome and later through stories of the townspeople, he learns Ethan Frome's tragic and rather startling story. 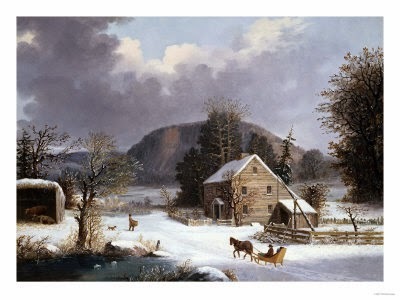 While he was a young man, Ethan Frome had set off for college with little money but big dreams, however he had to return to Starkfield because of the illness of his father. Since then, he had remained in Starkfield to run the family farm, acquitting his duties with a stoic determination. Reserved by nature, Ethan is captivated by his cousin Zeena's cheerful demeanour and marries her, but her cheer soon turns to sickness, discontent and bitterness. After years of her maladies, Zeena's cousin Mattie arrives to help with the housework and other duties, and Ethan, discouraged with the drudgery of an unproductive farm and the burden of an unhappy marriage, allows himself to be drawn into her spell. The story begins here, in media res, and we see the culminating tragedy of two passions, one rather innocent and untried, and the other, bottled up so long in duty and silence, that is verging on the explosive. It is surmised that Wharton's own discontented marriage was the model for Frome's, communicating the helpless imprisoned feeling of a relationship all but dead through apathy and selfishness of the two participants. Wharton uses the frigid bleakness of the Starkfield winter in her story to communicate the same desolation that permeates the characters and their situations in life. No one can escape their fate. Did I enjoy this book? Well, yes, in a way .......... Wharton is a good writer and I doubt that she could craft a bad story. However this story, while compelling, lacked the maturity of her better known novels. She tended to rely too much on drama to carry the story off, instead of working more within the characters, instilling subtleties that would speak to the reader on a deeper level. As for the frame story, this aspect of the book reminded me of Wuthering Heights, and I still haven't met an author who can employ this device with capable proficiency. I know it's supposed to allow the writer more leeway in the way he/she presents the story, but in my experience it merely tends to weaken it. 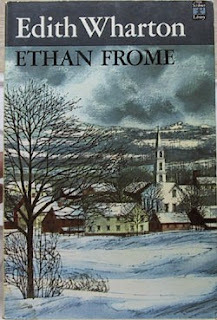 Ethan Frome was a fine effort by Wharton but perhaps clouded with a little too much personal emotion to allow her the distance needed to craft a superior novel. One of the classics that I've been meaning to read for quite some time! I might pick it up soon, since it's not that long. Great review! Hi Aeriko and welcome! It's not that long and definitely worth the read. I hope you'll post your thoughts on it when you finish! Ooh, I'm hoping to squeeze this book in for Brona's challenge before the end of the month. I really enjoyed your review! Thanks, C.J.! It's quite short and the story moves along quickly. The steadily approaching crisis is apparent from the beginning and keeps you riveted. I never did manage to finish one. Ended up tossing it aside out of sheer boredom. There is something unappealing and insufferable about Wharton's writing that irks me. At least we seem to be in agreement about the ineffectiveness of the framing narrative technique. The House of Mirth was just beautifully done, but I was so-so about her Summer and enjoyed this one a little bit less. A good beginning premise but the execution was overdone. Jason: That's interesting. We really don't have to justify aesthetic responses. Something either resonates with us or not. I personally loathe Virginia Woolf but that doesn't mean she isn't enjoyed by many others. Really, as far as female writers go, I like the ones that aren't self-consciously feminist, like Austin or the Brontes. They hold their own with the big dogs and are known for their writing not the fact that they are women writers. I haven't read this story in a while but I really enjoyed it. Quite a zinger at the end. I agree with you, she's a wonderful story crafter. I wonder if Jason doesn't like her worldview. I read an article about her life that said that some of her "poor, neglected" upbringing was mostly fabrication on her part, but I'd need to read a biography about her myself to know for sure. I appreciate what you mean when you say that marriage partners can feel imprisoned by their own apathy and selfishness. I think that is the cause of most discontented marriage. Good review! A zinger is right! The ending didn't strike me as entirely plausible and with the drama of his marriage and the affair, it just put it over the top for me. I don't know much about Wharton and honestly, there are many books that I'm reading at the moment where I wish I had some background on the author. Yet I like to be careful with where I get my information because there are so many speculative biographies out there. I'll have to check around and see if I find a reliable one. Thanks for your thoughts, Sharon ...... they're always appreciated! I wondered how she was going to bring this story to an end. It was quite ironic how it all turned out - the wife's situation afterward & the alteration of character experienced by both women as a result of the unexpected ending. I do like Edith Wharton's writing. I would have liked to see more depth to the ending ..... we see how the women changed only there was little subtlety to it ..... there was a tragedy and they changed, period. Perhaps I'm expecting too much of a novella. I'm looking forward to reading her The Custom of the Country, a much longer book, and then I can perhaps see how she deals with situations within a longer novel. This was my least favourite Wharton when I read most of them about 20 yrs ago. I couldn't pinpoint why at the time, but I like your idea that she was too close to the subject matter thanks to the unhappiness in her own marriage to make this book as successful as her others. It feels valid. Thanks, Brona. It's helpful to get your extra insight. This book had a little bit of the same tone as Summer, and IMO neither touched her The House of Mirth. I will pop on over and add my linky! You're welcome! It's definitely worth reading. I'm kind of disappointed that I read (what I think will be) Wharton's best --- The House of Mirth ---- and then am working myself backwards, however, I'm anticipating that Age of Innocence will be excellent too. It's nice to have Brona's yearly Wharton theme to spur me on. Thanks, Delia! I loved the duality in The House of Mirth, where on the surface Lily is seen as below the status quo, but in fact at the end she is lifted above everyone on an almost spiritual level. I was kind of hoping for that with this book, but you're right; it's valuable to examine flaws in humans and hopefully learn from them. I just finished Wharton's Summer, and as you say in one of your comments, in many ways it is similar to Ethan Frome. I did enjoy both of them, although neither one came close to The Age of Innocence, which is my absolute favorite Wharton. Have you read The Custom of the Country? I still have that one waiting for me and hope it will be more like The Age of Innocence or The House of Mirth.